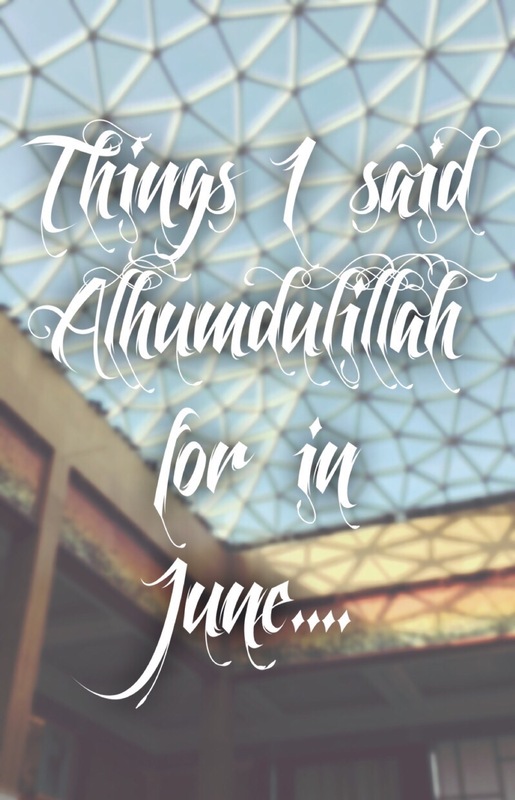 Witnessing yet another Ramadan is the biggest blessing this month for sure. May we live to see another. Reuniting with friends for Iftar Dawats, and coming closer together. It is so important to have a network of friends, especially being an expat and living so far away from your family. Enjoying Iftar at Bombay Bungalow, and being transported back to our trip to India. You know it’s a great place when the staff pick up your son and put him on the stone elephant statue as you watch his beaming smile. Celebrating my sister’s birthday with the family over a lovely Iftar meal. For the safety of my family in the UK. May Allah bless the families of those that have lost loved ones this month with patience and strength. Air Conditioning. The summer months are well and truly upon us, fogging up my glasses as soon as I step out in the desert. Thank God for AC, or we would all be melting into a puddle right now. I also realise how blessed I am to be able to stay at home and in the comfort of cool air. May God bless those that have to work out in the heat. Having some moments of peace when Mr Z took Master Z for his company Iftar, and I could get busy with making my own Pom Pom Tote from the Pretty Paper Studio For Me DIY Kit! Hosting an Iftar Party for friends and family, and not having anything go disastrously wrong. That’s always the worry when hosting isn’t it? Are YOU a “Hostess with the Mostest”, as they say? Visiting the graveyard to remember our loved ones. Master Z is now beginning to recognise and understand, in his own capacity, the reason why we go there, and it is lovely to get him involved in these aspects of life too. The nods of acknowledgments and hilarious comments to confirm I am not the only one that turns into a monster after reading my post about the realities of Suhoor. Counting down the days till my brother visits us for his month long summer vacation! Bring it ON! Celebrating Eid with the family. The excitement gets much better as the little ones are getting older and able to get excited about Eid too! Hosting my Eid Giveaway with some really lovely brands, as well as the very much raved about Shower Tower Soapenir! Have you entered? If not, you can do so here.